Enough F***ing Maps! 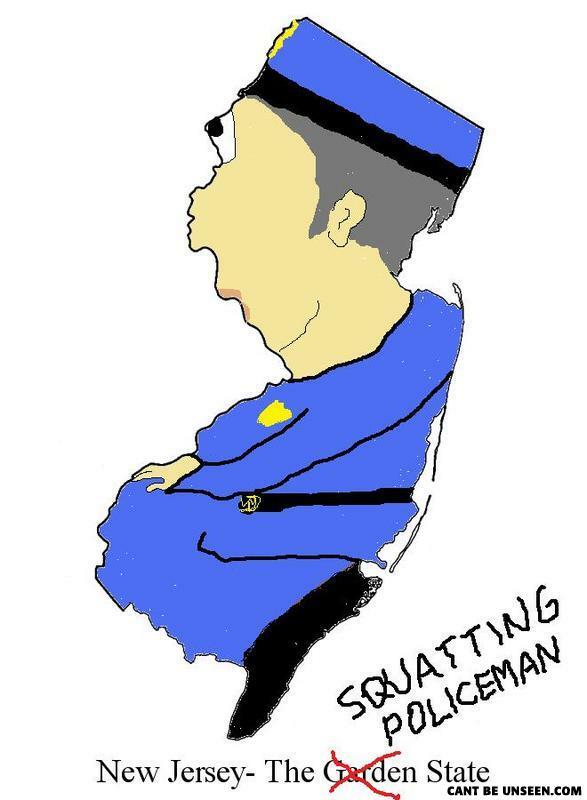 They are rarely clever and with paint you can literally make every single state look like something stupid such as, say, I dunno, A F***ING SQUATING POLICEMAN!!!! always thought it was a mailman myself..
well i think someone needs to upgrade to paint pro. Hahaha so true! Cause the police here do nothing anyway! Yeah, because every policeman has a strange bumpy growth between his eye and his nose. Failure. who can i punch for making this? I live in NJ and I always noticed that it looks like a dude!